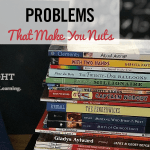 I read this article and wanted to share it with you: Troubleshooting 8 Common Homeschool Problems That Make You Nuts https://blog.sonlight.com/troubleshooting-common-homeschool-problems.html. Have you ever called technical support to troubleshoot a problem? It never fails that after hours of working by myself to no avail, three minutes on the phone with a pro will solve the issue. Most of the time, it’s not that I completely don't know what I an doing. I just need fresh eyes to help me think through the problem or reveal one tiny nugget of information that I am blind to. I find that homeschooling is very much like troubleshooting technology problems. 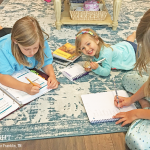 When you hit a snag in the homeschool routine, sometimes it simply takes a little help to think through the problem. It’s not that you don’t know how...it’s just that you need fresh eyes. Let me be your fresh eyes today. Let me offer that nugget you haven't considered. 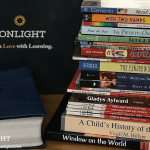 Let’s consider common problems that homeschool moms face every day and troubleshoot together. Let them play quietly with Legos or puzzles. Let them color or draw...You’ll be surprised how much they hear when their hands are busy. Use voices; make the reading interesting. Ask questions—but not too many. Orally complete everything you can. Have your child dictate answers. Do written work in small sections. Sonlight Language Arts is perfect for this. Have your child do handwriting during a Read-Aloud. Keep in mind that handwriting is the only subject that actually evaluates penmanship. Therefore, children, especially children with fine motor problems, shouldn’t be evaluated in other subject areas based on their penmanship. 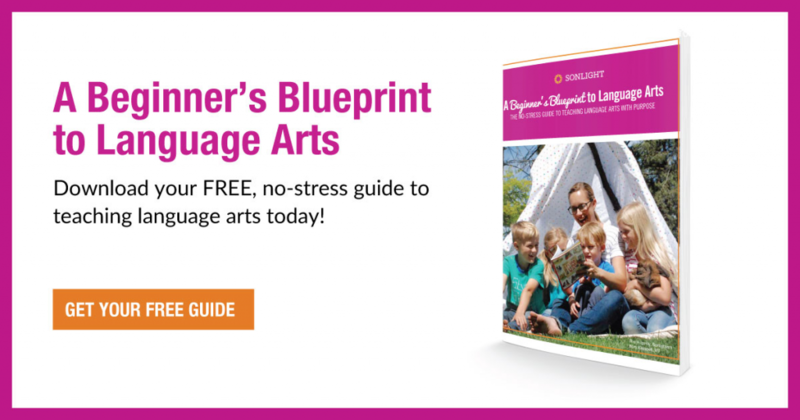 In the early years, Language Arts can be dictated most of the time. Don’t panic. Some kids work slowly. Some kids are incredibly distractible. A little patience and some creativity can do wonders. Purchase a 10-drawer rolling cart and place the assignments for the day in the drawers. In the last drawer, feel free to put a small prize or treat as a reward for finishing. Use a timer. Timers can keep kids on task because it gives them a concrete goal. Complete assignments orally when appropriate. 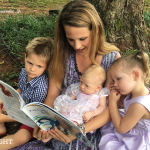 The plight of homeschool moms of multiples is alive and well. It’s the “Interrupting Child Syndrome”. You’re deep into an Algebra problem with one, and the youngest comes up and in a loud whisper says, “Mom...Mom…….Mom!” All focus is gone and you’ll have to start from the beginning. What’s a mom to do? Get a whiteboard. Have kids write their names on the board when they have a question and go down the list when you are available. Teach them the “hand touch” rule. If they have a question, they can place their hand on yours, and you’ll get with them as soon as possible, but they must be quiet until you finish what you’re working on. Present both viewpoints. 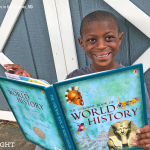 Let your child express his or her thoughts on the issue, and present the biblical viewpoint to the best of your ability. If you disagree, explain why, using scripture to backup your answer. Make a Venn diagram. Compare and contrast what you believe with what the book presents. Check in the Instructor’s Guide. 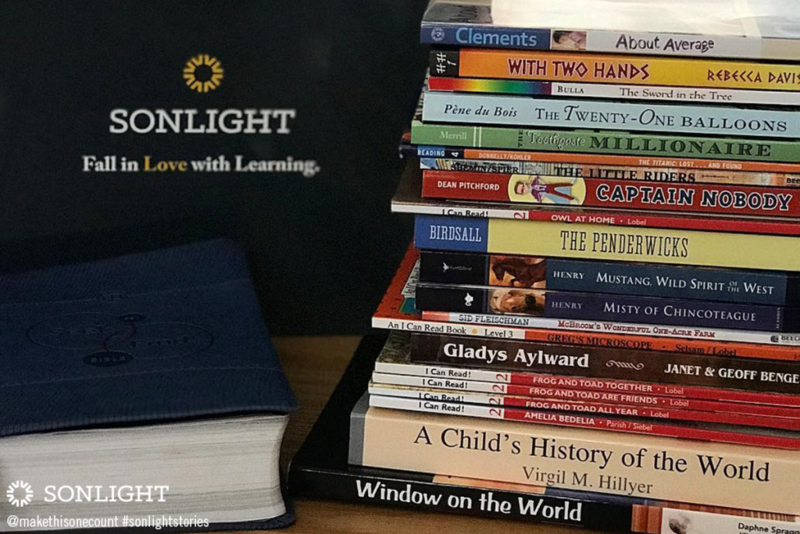 Many times, on controversial topics, Sonlight will include a note that can be very helpful in presenting the biblical viewpoint. Skip the book all together. Either substitute it or save it for when your child is older and more ready for the content. 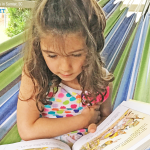 Check out the Summer Readers. Re-read...Some books are too good to read only once. Check Read Aloud Revival for booklists. For toddlers, try sensory boxes and rotate toys to keep things fresh and interesting. For preschoolers to elementary students, try workboxes. I’ve always enjoyed solving problems. There’s just something refreshing about fixing a troubling area in someone else’s life or my own. I think that most homeschool moms are problem solvers. Many times, when you find yourself stuck, it simply takes a homeschool mom friend to help you look at it from another angle. Homeschooling will always require adjustments, sometimes every year, sometimes daily to hourly! So next time you get stuck, call up your closest friend to help you troubleshoot or find your way over here to the Sonlight blog. We are always here for you!